In small bowl, combine mayonnaise, lime juice, chili powder, cayenne and salt. Set aside. Spread 1/4 of the mayonnaise mixture over bottom half of each tortilla within 1 inch from edges. 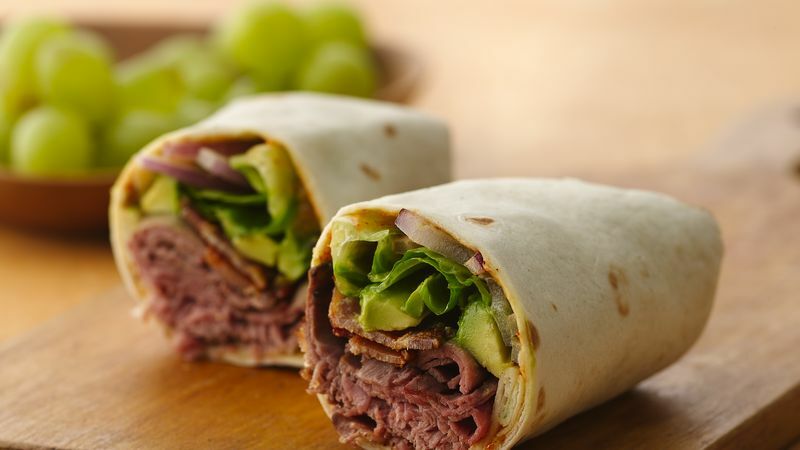 Divide roast beef, bacon, avocado, lettuce and onion evenly over bottom half of tortillas. Tuck in sides of tortillas; roll up tightly to enclose filling. Cut in half to serve. Look for the dark, pebble-skinned Hass avocado. They have a richer flavor and creamier texture than the light green, smooth-skinned variety. A ripe avocado should be relatively firm, but able to yield to gentle pressure. For a smokier flavor, substitute chipotle chile powder for the cayenne.